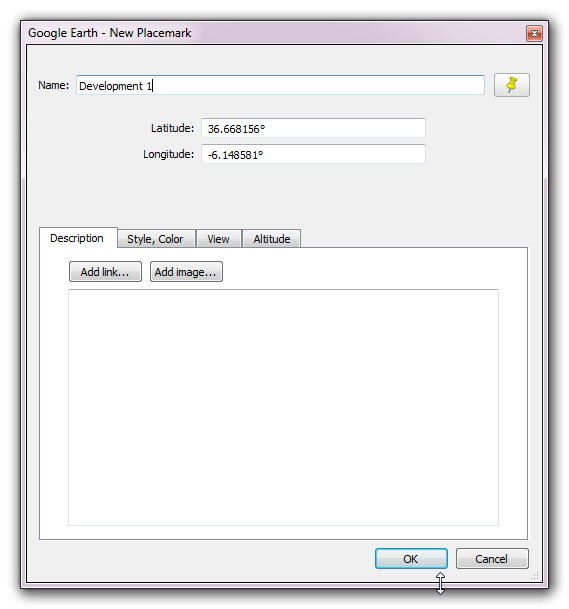 I would like to test Collect Earth on a couple of specific plots that I am familiar with in order to test the functionality of the Google Earth Engine and BIng Maps together with Google Earth. How can I do this? I don't want to generate a whole sampling design for a region, just testing in a few sites that I know abou!! This is a very common request we get from people testing out the software. It is quite straight forward to get Collect Earth to work on a few plots that you have previously identified. The point here is not to change the survey that is being shown on the popup but only the location of the plots shown in Google Earth. 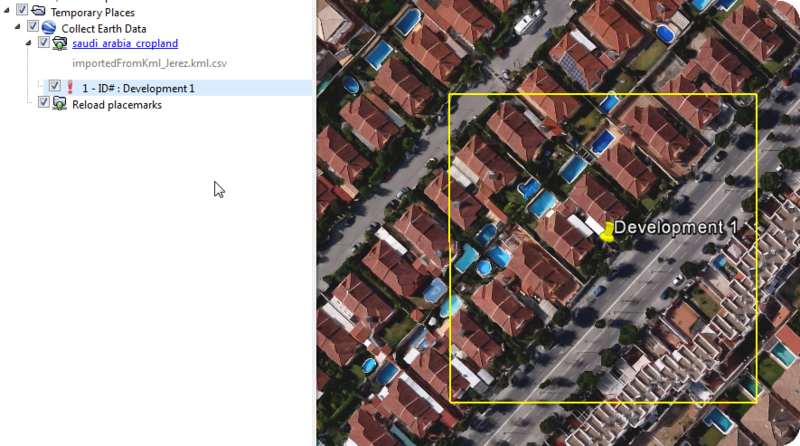 The identification of the test points is done through Google Earth. 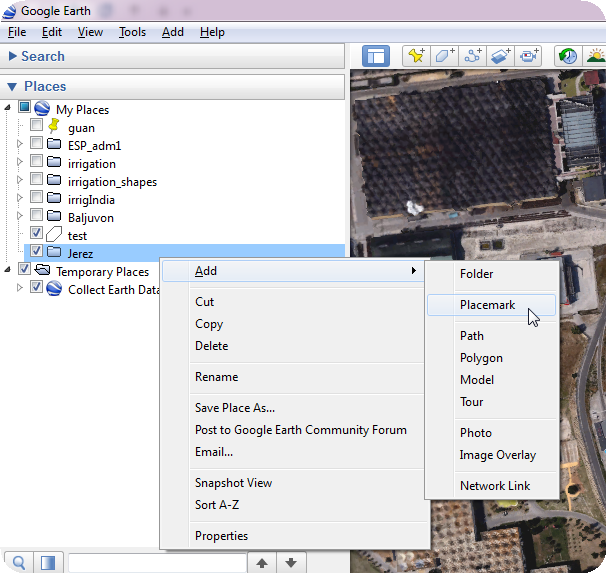 Then these points are imported into Collect Earth and the plots would appear in these locations on Google Earth. 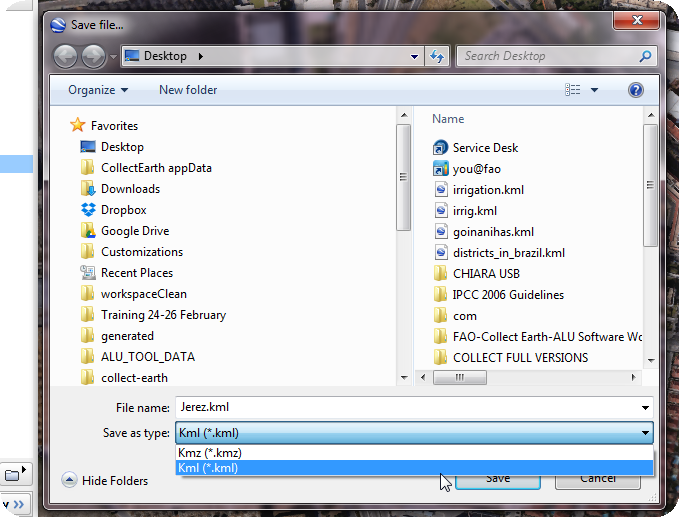 Now the folder appears on the list of folders under My Places . 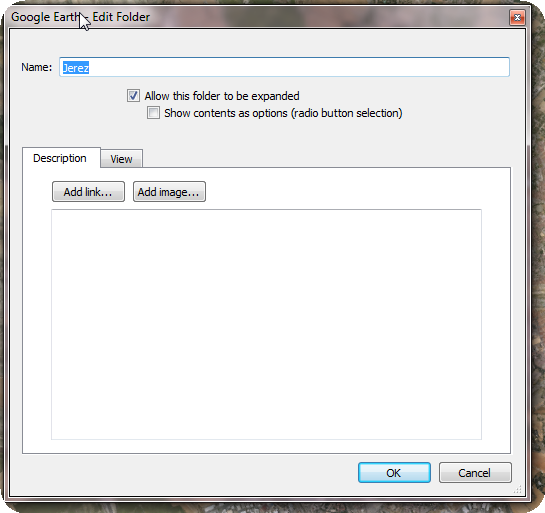 You must now find the area where you want to use Collect Earth and set it in the center of your Google Earth screen. 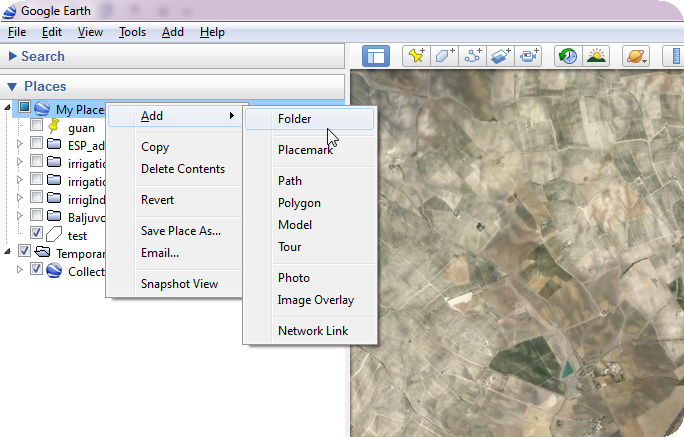 You need to Right-Click on the folder that you just created and then click on Add->Placemark. There is now an icon in the middle of the Google Earth window that you can move around and place it specifically where you want to test. You need to give a name to this placemark. Now you need to generate a KML file with this placemarks. 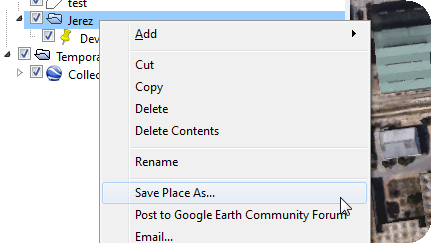 Right click on the folder and now choose Save Place as... . Here it is important that you choose KML as the format to be used!! 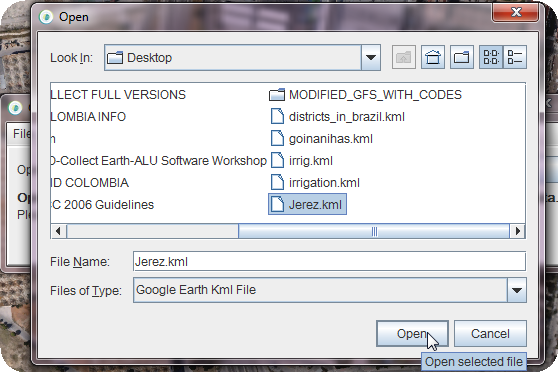 You need to go to Tools->Load points from KML and in the dialog that opens choose the KML file that you just generated. In the following dialog you are asked where to store the CSV with the plot location that is generated. Just choose the same folder. At the end you will be shown the plots in the same location than your placemarks. Click on the plots and test away! !